Two new titles just released! This hilarious play is wonderfully easy to produce with loads of humor for both kids and their parents. 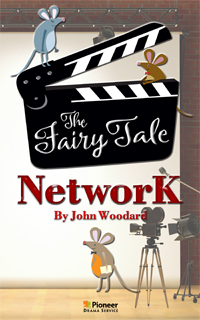 The Fairy Tale Network is a television network that needs to improve its viewership ratings with exciting new programming. The three mice working as creative consultants for the studio each must come up with a story idea to pitch to their new chief, the Cat. And they need to pitch their ideas fast before they become a fancy feast! They retell the well-known tales of Little Red Riding Hood, the Three Pigs, and Goldilocks and the Three Bears, but now with new, unexpected twists. The crew of Busy Bees racing on props and sometimes even becoming the set pieces themselves makes this play fast-paced, super-easy to stage and fun! With the charm of a fairy tale and a touch of mystery and wonder, Charlie Lovett adds another winner to his ever-popular Wychwood-under-Ooze series of fractured fairy tales. The fun and hilarity center around the town square and the bridge everyone is afraid to cross. While the Bridgites wonder what might be on the other side and hope that one day they will be brave enough to see for themselves, the Anti-Bridgites are having none of it. After all, who knows what dangers exist beyond the bridge? Speaking of the unknown, why is poor Sleepy Trudy always so tired? And where is the missing artifact to unite with the Cone of Mystery and the Unusual Disks? Local legend has it that once the three ancient pieces are reunited, the bridge will open for all to pass. 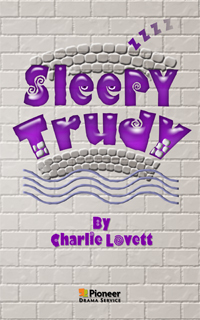 With story characters ranging from the evil witch to the fairy godmother and from Quasimodo to the ever-present Lou the UPS Guy, audiences of all ages will laugh out loud at the wit and humor of this easy to stage, family-friendly delight.